Inbound Marketing refers to marketing strategies and tactics designed to help companies get found when searching for potential product or service providers or when researching issues or problems. Think search engine optimization, paid search, and social media. Outbound Marketing refers to push-type marketing like trade shows, advertising, telemarketing, email marketing, etc. Respondents who spent more than 50% of their budgets on inbound marketing channels reported an average cost per lead of $134, while those who spent the majority of their budget on outbound marketing channels had an average cost per lead of $332. That’s a 60% difference. One of the reasons our firm is such a strong advocate of inbound marketing for B2B marketers is that it’s all about timing. You can spend a tremendous amount of money on outbound marketing, but most of your efforts will fail to reach people who are ready to buy or who are at least at some point in the buying or purchase-consideration cycle. Search and Social, coupled with Content Marketing, however, responds to potential purchasers exactly when they might be considering a purchase, long before you they are doing so. In the long run, it’s also less expensive. With traditional outbound tactics, you have to keep feeding the dragon. 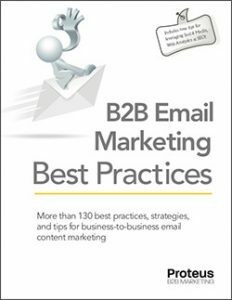 Keep spending on advertising, trade shows, direct mail. With inbound marketing, however, the benefits keep coming long after the investment is made. A well-optimized site with good content marketing assets will perpetuate a strong stream of visits and leads long after the site and content are created. And most often there is a compounding effect in terms of online visibility as you build reputation within social channels and in the eyes of search engines. That generally equates to a lower cost per lead than outbound marketing efforts. 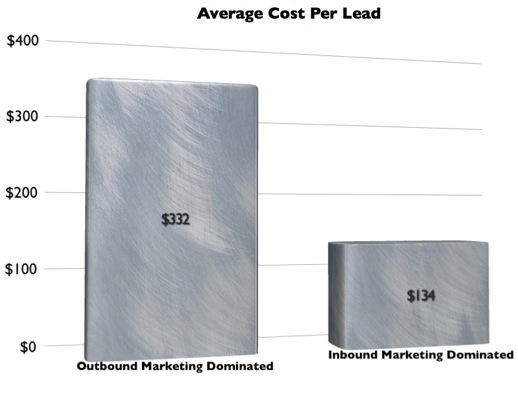 That lower cost per lead is driving interest in inbound marketing efforts. 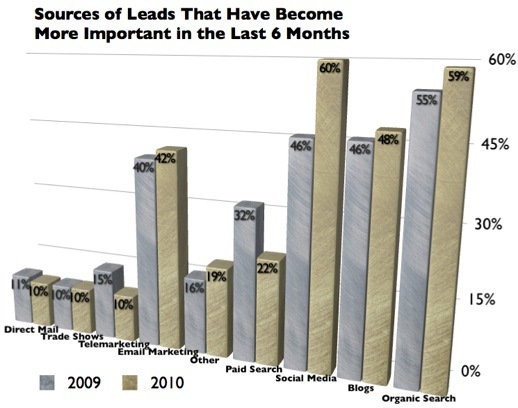 While the importance of nearly all outbound efforts as a source of leads has remained flat or declined for most marketers, the importance of inbound channels as lead sources continues to increase. Interestingly, the importance of organic inbound marketing (social, blogging, SEO) has grown, while paid search has waned a bit. This is a trend we continue to see with our clients as well. While there is still interest in paid search, clients are increasingly interested in building assets of long-term value. The interest in inbound marketing isn’t just consideration; it’s causing significant shifts in how budgets are allocated. 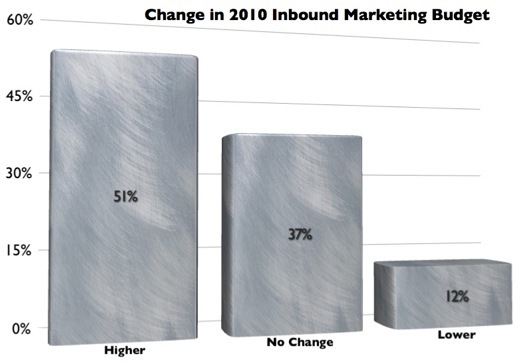 More than half of the respondents indicated increased spending for inbound marketing efforts for 2010. There’s plently more in Hubspot’s The State of Inbound Marketing Report. It’s well worth downloading and reading. Great article. Thanks, it’s very specific, informative and actionable. You guys rock.